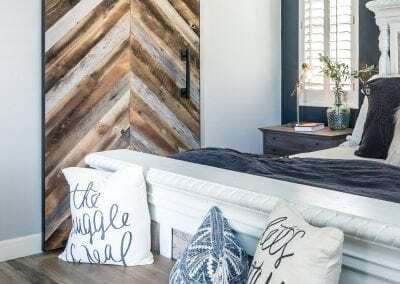 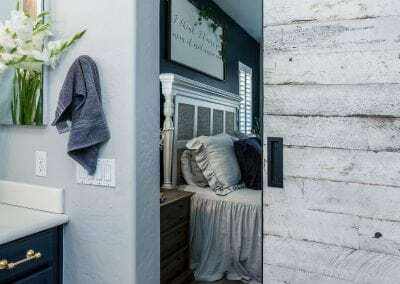 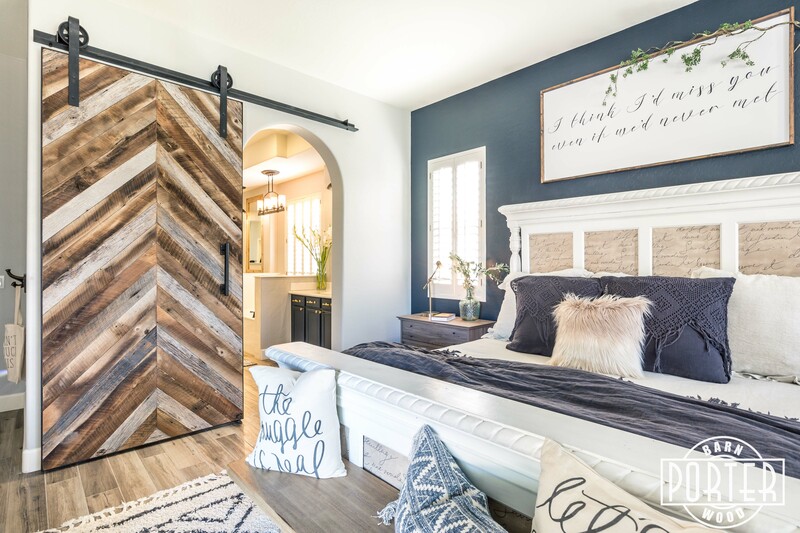 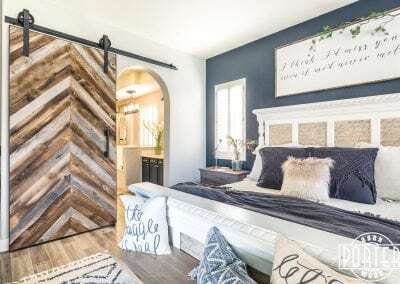 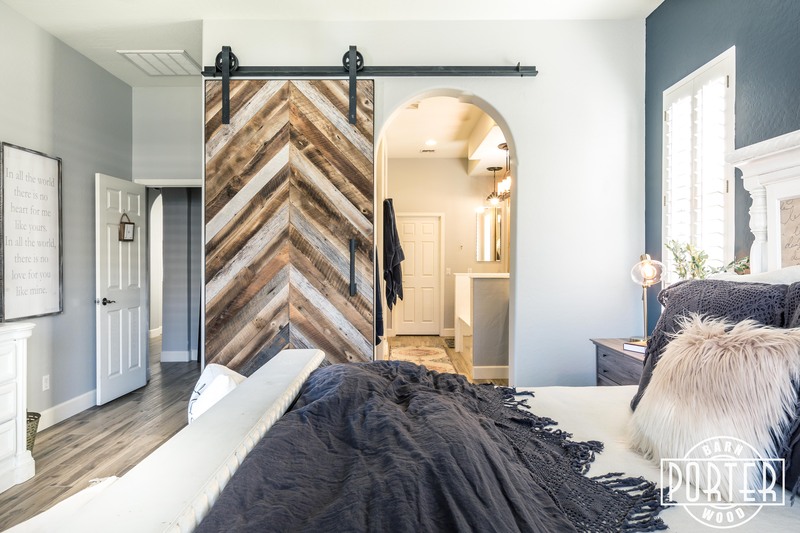 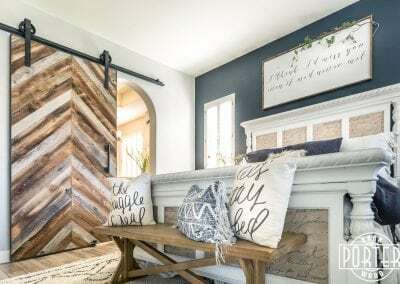 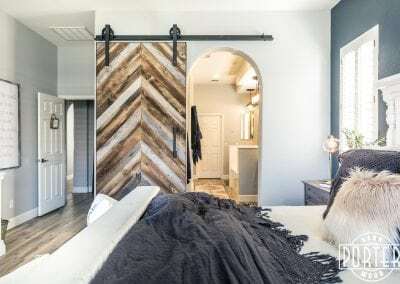 We recently had the pleasure of working with Jaci from Shabby Desert Nest for a sliding door project in her master bedroom. 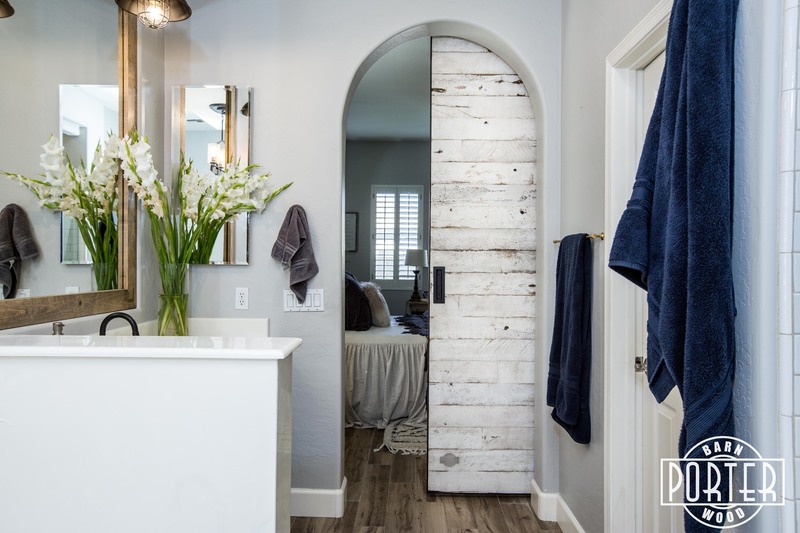 The most common door we get asked to build is the door from the master bedroom to the master bathroom. 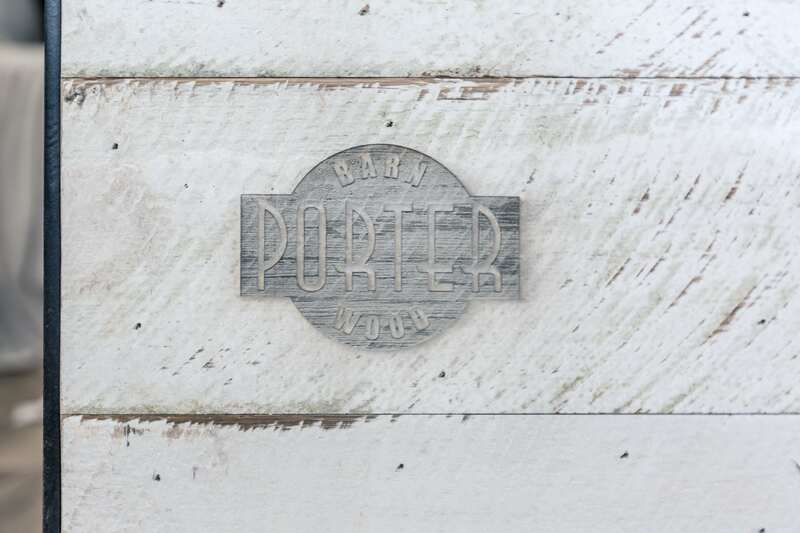 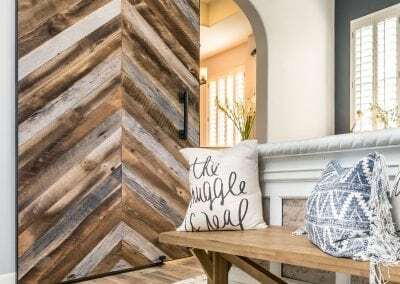 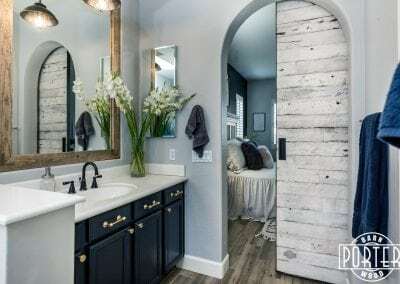 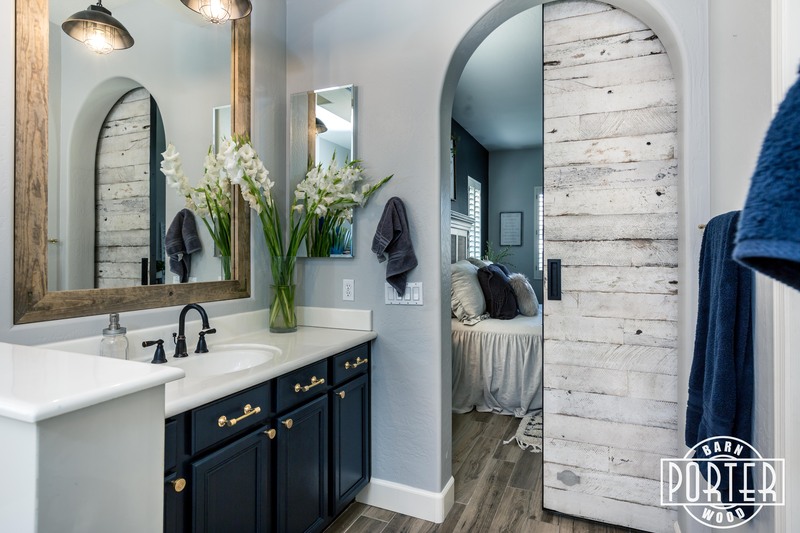 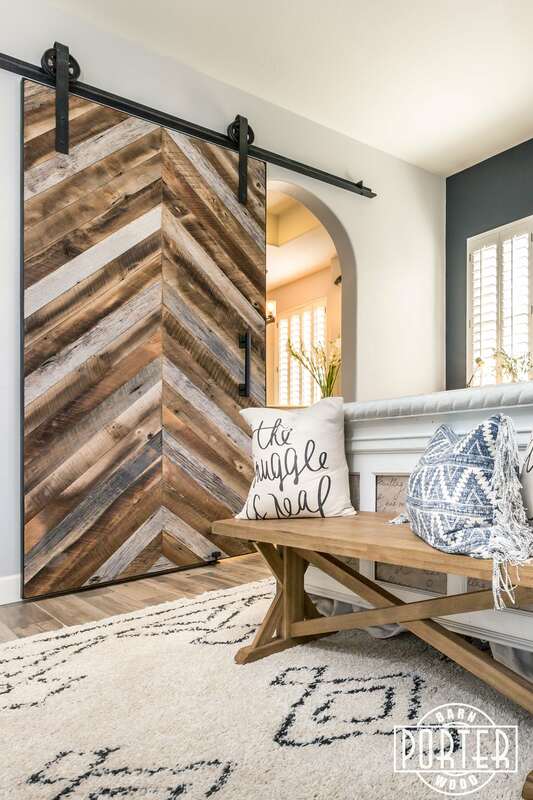 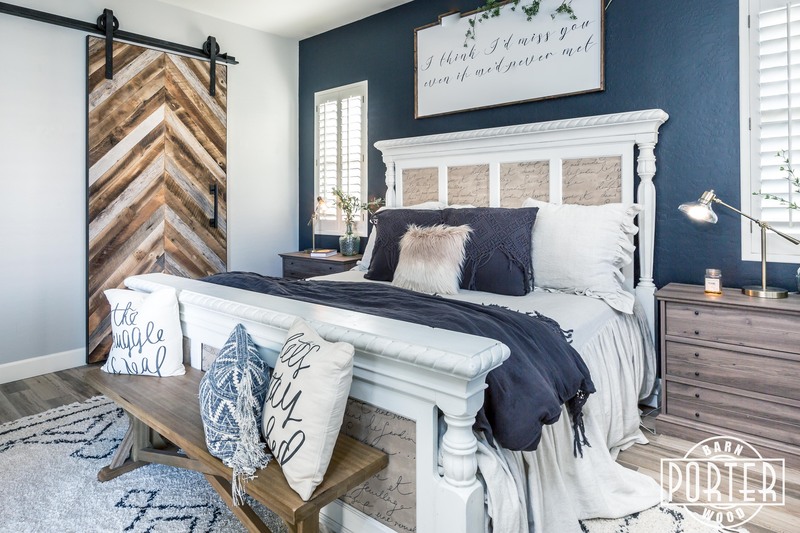 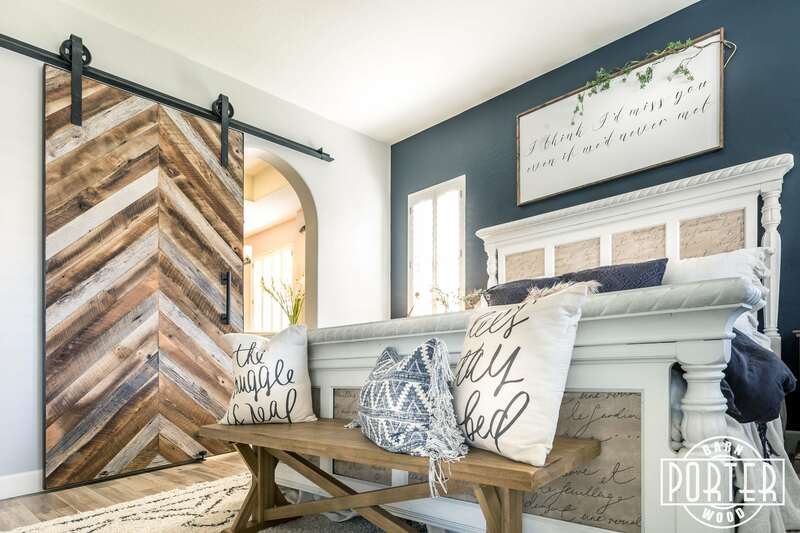 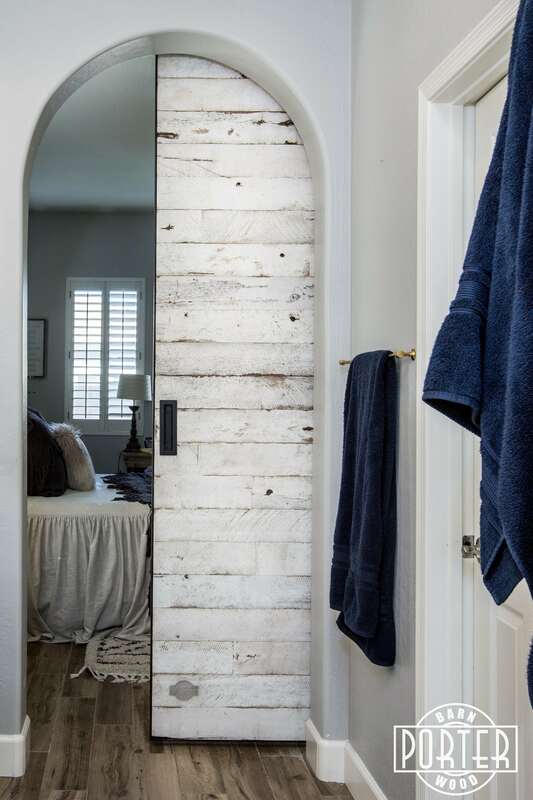 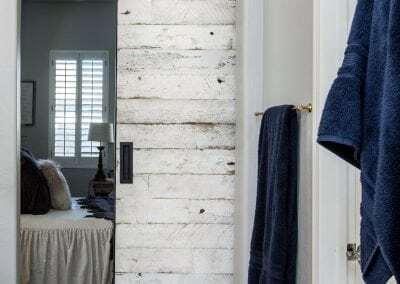 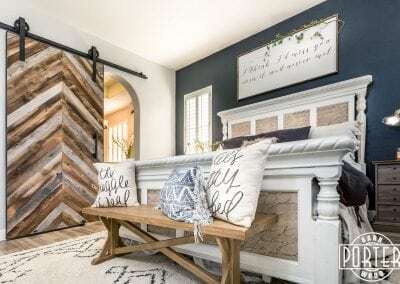 This is a great place for a barn door most of the time, and it’s a great way to add style and functional art to a room. 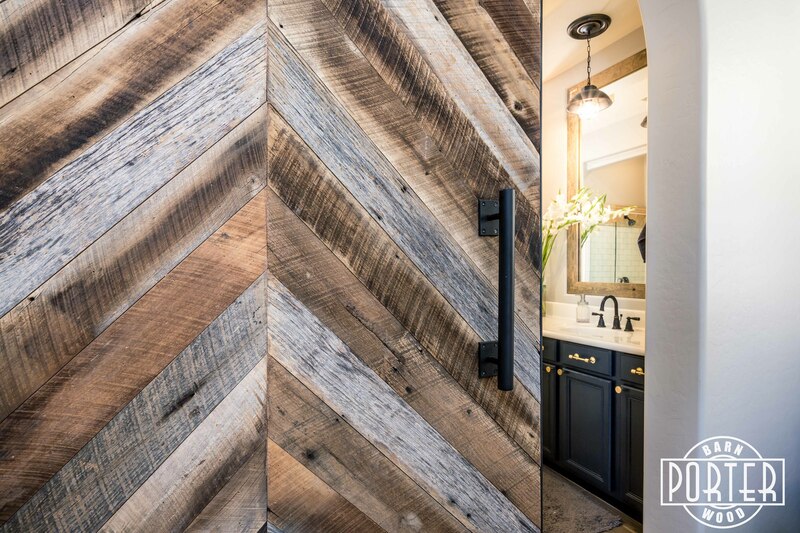 With this door, we did two different wood textures with different colors and patterns. 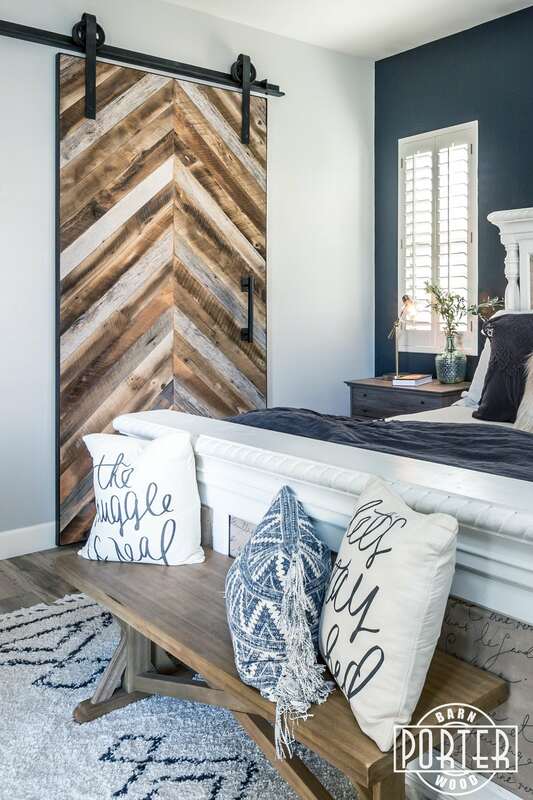 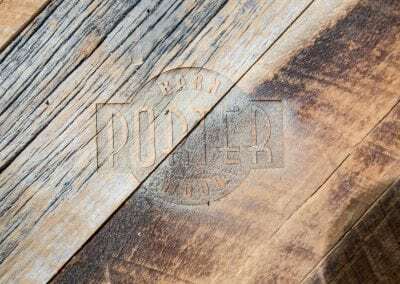 On the bedroom side there is a chevron pattern made with our tobacco barn grey and brown materials. 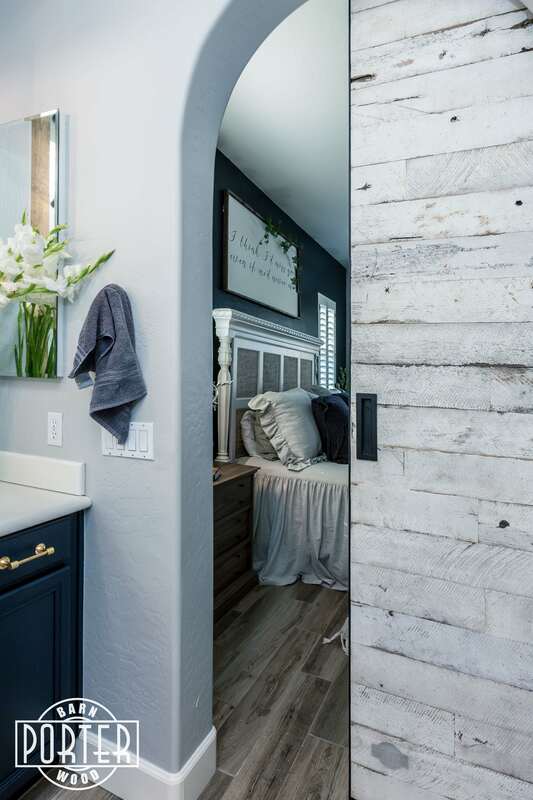 On the flip-side there’s our speckled white materials in a simple horizontal pattern. 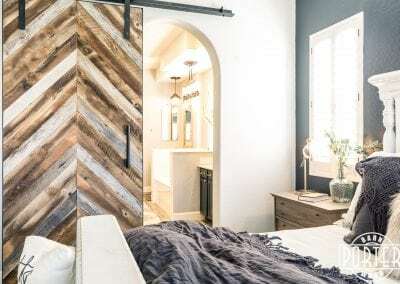 This door is gorgeous and really adds a lot to the space. 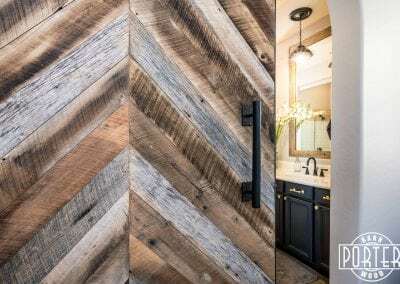 See some of the build photos below and links to some Instagram pages where this door is featured. 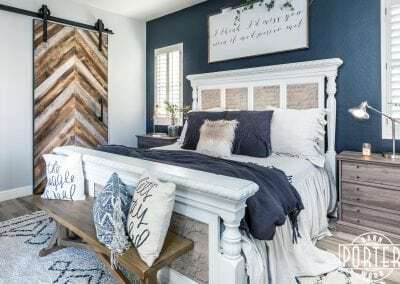 We did this installation and build as a story on our Instagram page as did Jaci. 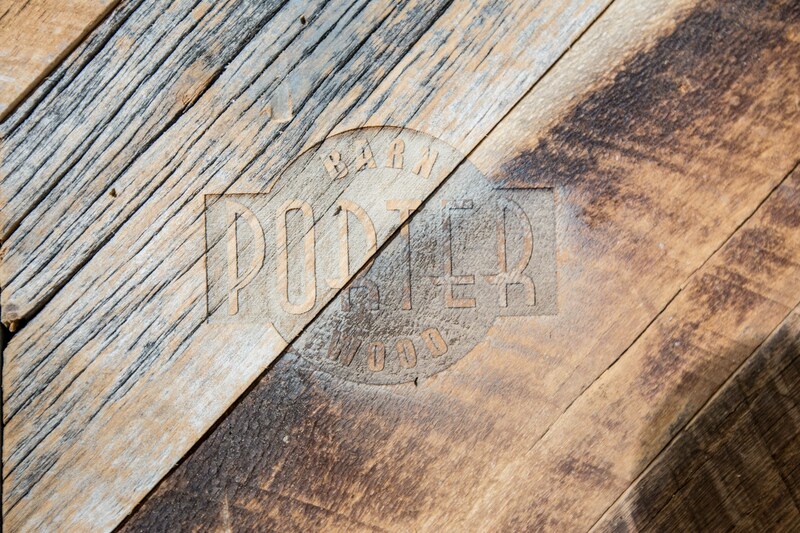 See the story in our features on our Instagram page before it goes away! 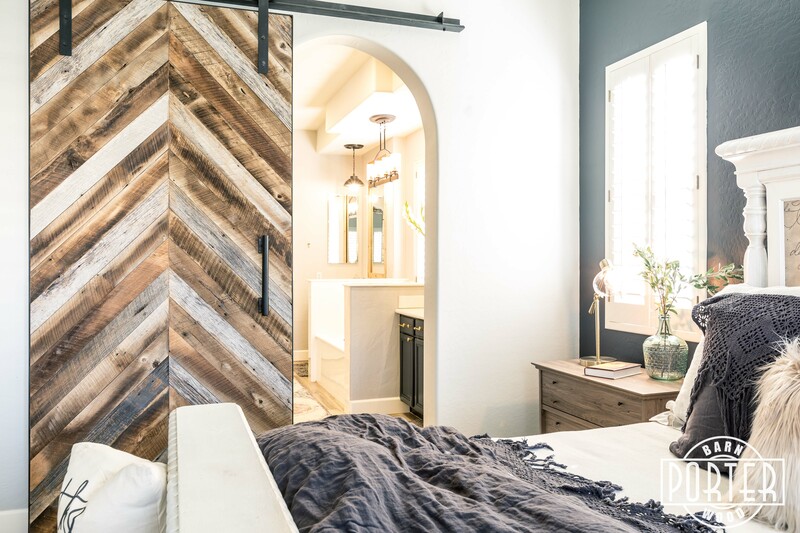 For those of you interested in this style door in your own dimensions: Click Here to visit our “Shabby Desert Nest” special edition sliding door in the Online Store.